To book a place, please contact Dizzy Birds Crafts. Soon available in my Etsy shop. I'm taking commissions! Please contact me for more information. New collection. 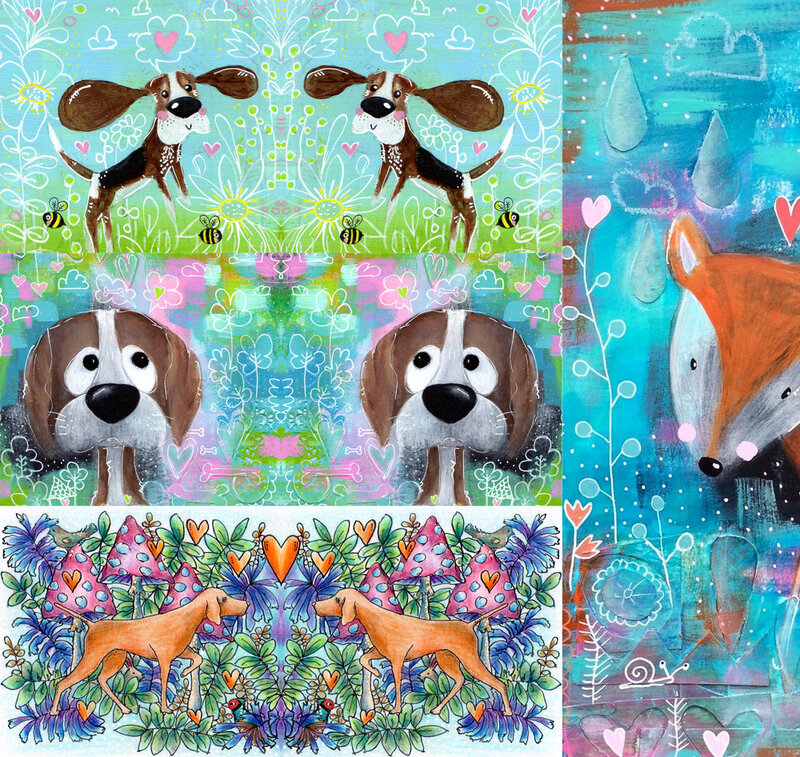 Handmade and very colourful with tiny original paintings. New Moleskine notebooks and A5 notebooks in my Etsy shop. Today I'm comming to share with you some news. I'm very excited and honoured to be a part of an amazing bunch of mixed media artists. Together we will create the most inspiring on-line classes for everyone who loves mixed media or would like to start a journey. Wanderlust is a whole year long journey - an online event offering you videos from 24 guest teachers and 2 resident teachers one every week (each one downloadable and with PDF instructions provided), 50 amazing videos, which will run for over 50 hours in total, access to a forum with an amazing and friendly community, inspirations, challenges, discussions, galleries, workshops, giveaways and generous discounts from our partners. The perfect alternative to in-person classes! To find out more click here. As far revealed are: Kate Crane, Teresa McFayden, Rachel Greig, Beckah Krahula, Joanne Sharpe, Flora Bowley, Mystele, Andy Skinner, Finnabair, Birgit Koopsen and Lindsay Weirich. It is going to be amazing!!! I was waiting for this day for months...hello on my new website! You will find here photos of my latests projects, a few information about me and a link to my shop. I will run this blog regularly to show you what I'm working on and will share with you my inspirations.